and sending special thanks to all who have helped make this an amazing year. 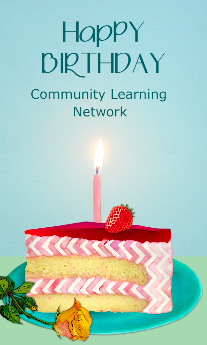 Join us in celebrating Community Learning Network's Birthday, December 22! who was a treasured friend and inspiring co-facilitator. to inspire hundreds of visiting students and local youth and families. You are deeply, deeply missed. To view the memorial website we created, visit www.larryemerson.org ... and feel free to submit reflections to be shared). Over 150 students and visitors participated in Southwest Experiential Education. We hosted our first learning and service immersion in Jicarilla Apache nation. Teen Interfaith Dialogue in Santa Fe this summer. 14 educators participated in the LISTO educational immersion and TESOL-certification program in Oaxaca, Mexico, in collaboration with Santa Fe Community College Teacher Education program. 24 local students completed Next Generation Media Team training and published their own school newspaper, e-mag, and website. helped restore murals in Montanyo Park with local artist Carlos Cervantes. Community Learning Network supported numerous neighborhood activities and events in the Historic Guadalupe District including park improvements, community picnics and painting days, and additional updates to www.myguadalupe.com. 4 college students returned to serve as visiting fly-in interns, and we began working with our first Vista Volunteer and a fantastic visiting Marketing intern. "expand Tech education and outreach and increase Tech enterprise and employment." and we also began collaborating with other working groups including Santa Fe Advance. in Northern New Mexico thanks to the support of LANL Foundation and Northern New Mexico College and joined the growing number of more than 50 regional graduates to complete the 8-week coding bootcamp training program for high school students. 5 schools in Northern NM are piloting the Dev Catalyst coding training program. ​plus Project Y Co-work Los Alamos, more Tech Career interviews were added to the online Tech Career Video Bank. We co-hosted 6 local, Friday-morning BizBrew gatherings in 2017, helped launch the local TechBivvy initiative, and built the initial website www.techbivvy.com. with enthusiastic support and participation from Los Alamos National Lab, the Air Force Research Lab, CSTA-NM, Santa Fe City Schools, LANL Foundation, Santa Fe Community Foundation, Make Santa Fe, New Mexico Technology Council, PNM, and Nusenda, plus Senator Heinrich created an inspiring video message. and a KSFR radio interview with Superintendent Veronica Garcia. the New Mexican, the Albuquerque Business Journal, and The Santa Fe Reporter. Community Learning Network won the first Internet Society grant ever awarded in New Mexico, which was one of only 12 ISOC grants awarded globally last spring. Community Learning Network helped launch a local New Mexico Chapter of the Internet Society, built the initial chapter website www.internetsocietynm.org, and co-hosted through NM techWorks the Indigenous Connectivity Summit with the Internet Society, the 1st-Mile Institute, and the First Mile Consortium, which was sponsored by Google, ARIN, ICANN, and REDINet. The event featured two days of community networking training plus two days of Summit sessions and dialogue on IT access, infrastructure, and education issues for rural and indigenous communities with more than 150 attendees including representatives from indigenous communities in the Western Hemisphere plus a video endorsement and opening message from Senator Udall. More than 9 grants were received and heaps of community volunteers and donors supported our programs this past year. 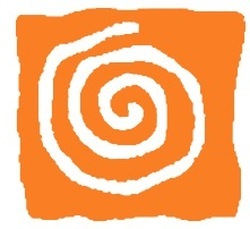 ​and we appreciated sponsorship from the City of Santa Fe and Nusenda. plus the production and launch of a collaborative Film APP! It is going to be another exciting year! and your support makes a difference. for our local programs with underserved youth.